Our Multi-channel Analyzer is capable of collecting 1k, 2k, 4k or 8k spectra from a traditional parallel output ADC. It makes it possible to extend the life of your old, but good working ADC and connect it via USB or even Ethernet to your new modern computer system. It provides flexible programmable interface for easy connection to your existing ADC equipment. In other words - don't hurry to scrap your old NIM ADC. Instead - contact us to check the options to extend its life. 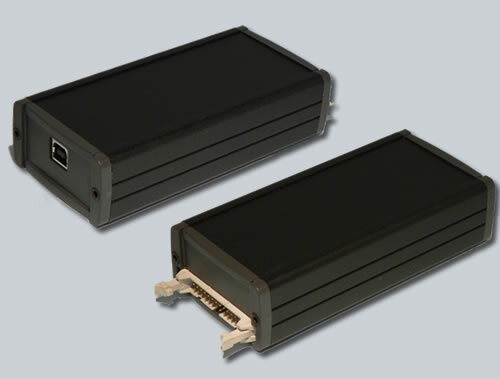 Our customers successfully attached the USB-MCA to Silena 7411, Canberra 8075, Ortec 800 and others. In addition to high performance hardware, a simple to use MS Windows based Readout Software is available.